Mylan and Turing are not “bad apples” but par for the course in the US pharmaceutical industry. Drug companies charge a fortune for medications because they can, doctors from the Harvard Medical School have argued in a prominent medical journal. Mylan Pharmaceuticals recently made headlines after senators – and presidential nominee Hillary Clinton – expressed outrage over their pricing of EpiPen allergy injectors. Last year, Turing CEO Martin Shkreli was dubbed “the most hated man in America” after hiking the price of a generic drug used by some AIDS and cancer patients by 5,000 percent. The price-gouging appears to be a widespread phenomenon, however. Prices for the commonly used brand-name drugs in the US surged 164 percent between 2008 and 2015, far ahead of the 12-percent increase in the consumer price index, shows a paper published this week in the Journal of the American Medical Association (JAMA). Even the price of insulin went up by an average of 300 percent, between 2002 and 2013. “The most important factor that allows manufacturers to set high drug prices is market exclusivity, protected by monopoly rights awarded upon Food and Drug Administration approval and by patents,” argued Harvard Medical School doctors Aaron Kesselheim and Jerry Avorn, and jurist Ameet Sarpatwari, authors of the JAMA paper. In addition to patent laws that create market exclusivity for pharmaceutical companies, other US regulations also limit the ability of insurers and governments to negotiate drug prices, Kesselheim told NBC News. Kesselheim and his colleagues looked at research published between 2005 and 2016, exploring drug prices in the US. They found that Americans spent an average of $858 per capita on prescription drugs in 2013, more than twice the $400 average in 19 other industrialized countries. Brand-name drugs account for only 10 percent of all prescriptions filled in the US, but make up for 72 percent of the drug spending, the paper noted. Prescription medication spending now makes up an estimated 17 percent of total personal health care expenses in the US. Approximately 29 million Americans have no prescription drug coverage, public or private, a rate greater than almost any other developed country. Research that leads to the development of new drugs is often performed at academic institutions and supported by public investments from sources such as the National Institutes of Health, the authors noted. Looking at the 26 “most transformative” drugs of the past 25 years found that more than half originated from publicly funded research in academia. Meanwhile, though biotechnology and pharmaceuticals are one of the most profitable sectors in the US economy, the proportion of revenue large pharma companies invest in research ranges from 10 percent to 20 percent. In the case of Mylan or Shkreli’s Turing Pharmaceuticals, the drugs they are charging a fortune for weren’t even developed by them, but acquired from the original patent-holders. 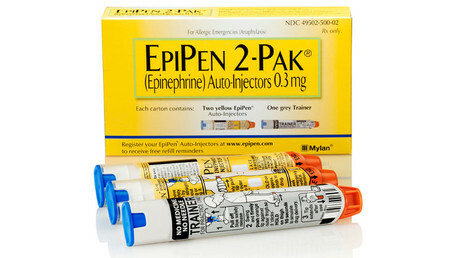 While Mylan’s overall operating margin is 20 percent, the company is making a 55 percent margin on EpiPen, according to Michael Waterhouse, analyst at the investment research firm Morningstar. “It’s a high margin product, but not unheard of for branded products with little competition,” Waterhouse told USA Today. 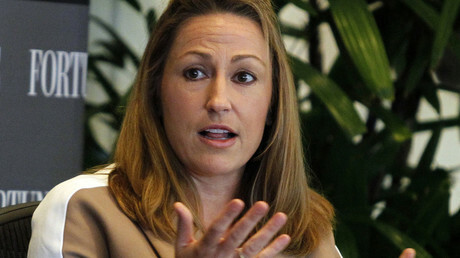 As profits from EpiPens rose, so did the compensation of Mylan CEO Heather Bresch – daughter of Senator Joe Manchin (D-West Virginia) – going from $2.4 million in 2007 to $18.9 million in 2015. The company also boosted its lobbying spending, resulting in a 2013 law promoting EpiPen purchases by schools. 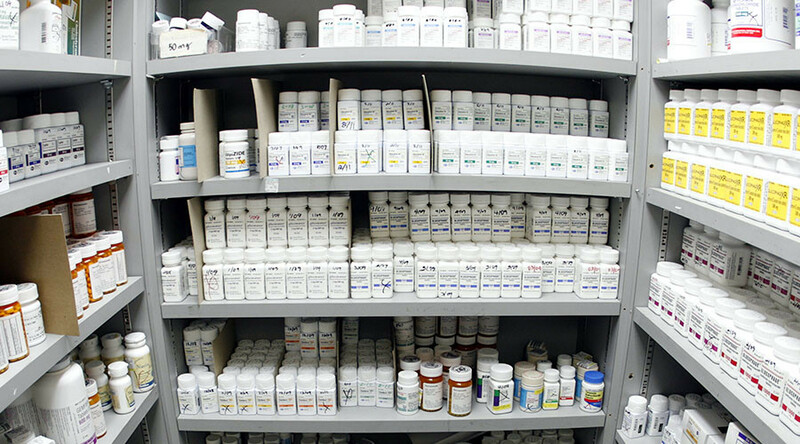 According to a 2012 Government Accountability Office estimate, generic drugs made up 86 percent of all prescriptions in the US, saving the government $1 trillion over the prior decade. However, drug makers have developed a range of strategies to keep the generics off the market, including paying off the competition. Another way is to extend the life of their patent protection by tweaking a feature and registering the result as am “entirely new” product, Kesselheim and colleagues wrote, citing the example of Prilosec becoming Nexium and selling for 600 percent more than the generic omeprazole. European countries with single-payer systems provide the governments a lot of negotiating power, the JAMA paper noted. By contrast, most US government programs are required to cover all FDA-approved drugs, and can get only a 23 percent rebate on the average price. The one exception is the Veterans’ Administration (VA), with the ability to decide which drugs it wants to use and a guaranteed 24 percent rebate. Having the US government try and set drug prices “would have major marketplace ramifications and is not at present politically feasible, in part because of the power of the pharmaceutical lobby in Washington, DC,” Kesselheim and colleagues wrote. In California, where a ballot initiative dubbed the Drug Price Relief Act (Proposition 61) seeks to adopt the VA standard at state level, pharmaceutical companies have already spent $70 million this year to defeat it, columnist David Lazarus wrote in the Los Angeles Times. “The only system at work here is a cash-fat industry routinely preying on sick people. It’s a system that the drug industry will do whatever's necessary to protect,” Lazarus said.